Saturday evening, the tension was plain to see on the faces of teams at the Guiana Space Centre and the Launch Vehicles Directorate in Evry, France. Their nervousness was understandable, given that since Ariane 5 ECA’s aborted maiden flight, the entire European space community and especially the contractors working on the programme had mobilized their resources to return the launcher to flight. 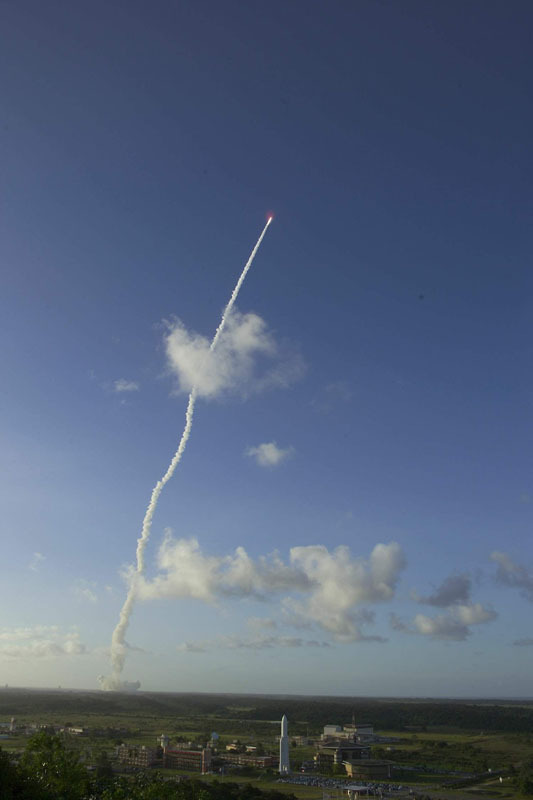 This success is the culmination of more than 2 years of effort, involving 20,000 seconds of firing tests on the Vulcain 2 engine implicated in the previous launch failure, a series of corrective actions and a launch campaign of more than 120 days at the Guiana Space Centre, consisting of 4,000 operations since last August. Teams have been pursuing a heavy workload in readiness for the launch, but they will have little time to rest as they set about analysing readings from more than 1,400 sensors on the launcher to confirm its flight performance and refine calculation models if necessary. After a short delay due to a problem interpreting pressure sensor readings, Ariane ascended into the sky over French Guiana. Powered by 20% more thrust at lift-off, Ariane 5 ECA’s impressive climb was visible until separation of its EAP solid boosters at an altitude of 69 km. Ariane 5 ECA will now be operated by Arianespace, with CNES responsible for maintaining the launcher’s certification and qualification throughout its operating lifetime. 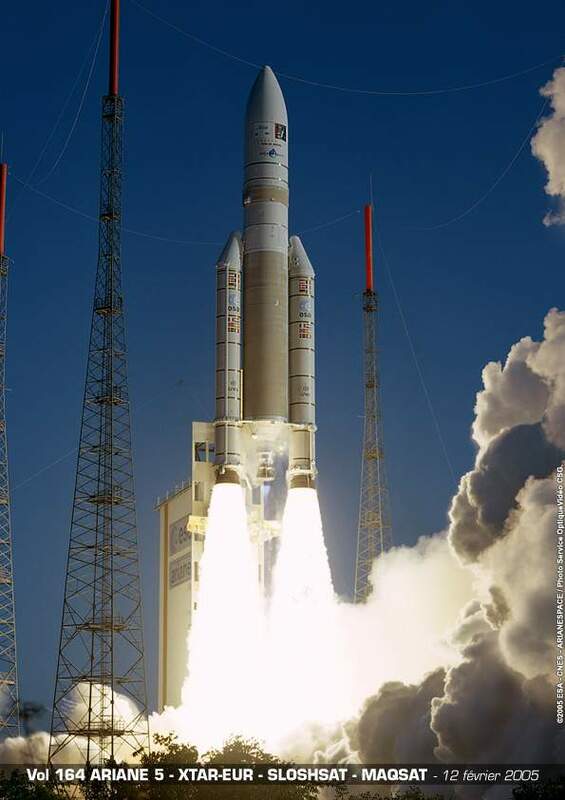 “This success confirms Ariane 5’s technical and operational maturity. […] It is a fantastic achievement for Europe, for France and for CNES,” said Yannick d’Escatha, congratulating teams at the Guiana Space Centre CNES’s Launch Vehicles Directorate.